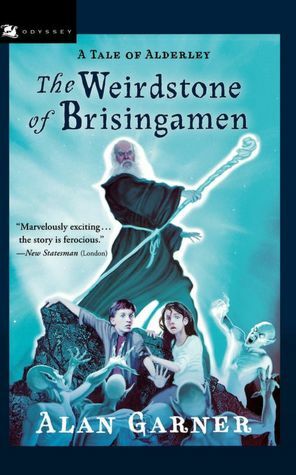 When I was just a few chapters into Alan Garner’s The Weirdstone of Brsingamen, I was sure I had found a new favorite fantasy series. The 1960 novel follows the adventures of Susan and Colin, two children who are spending six months in the town of Alderley in Cheshire while their parents are out of the country. Amid the mines and natural landmarks of Alderley, most notably a steep sandstone ridge known as The Edge, the children find a world of magic—slumbering knights, witches, dwarves, elves, and a wizard named Cadellin. It turns out that Susan is the keeper of a long-lost jewel, the stone that protects the knights who sleep in Fundindelve waiting for the day when they must wake and save the world. In its opening chapters, the book reminded me of Susan Cooper’s Dark Is Rising series, both for the incorporation of Celtic myth and for the (not particularly uncommon) storyline involving children discovering their own ties to a legendary world. There are some amazing sequences in the book. My favorite was the string of chapters in which the children much travel through the mines. At one point, they had to cross a crevasse on a teetering plank, and the tension in this one simple scene was as strong as the tension in any of the big magical showdowns. Their claustrophobic journey through the narrowest of tunnels, a journey in which getting to stop shimmying and crawl on their hands and knees felt like sweet freedom, had me vowing never to attempt any kind of spelunking. Unfortunately, The Weirdstone of Brsingamen did not live up to its initial promise. One problem was with the characterization of Susan and Colin. They’re just so bland, almost like blank slates on which I suppose we readers are expected to draw personalities, backgrounds, and basic information. Unless I missed it, we never learn how old they are (I pictured 11-ish) and which sibling is older (I think maybe Susan). They’re curious about the area, as any children would be, but nothing sets them apart from any other children. I wonder if this was intentional, to make them relatable to everyone. If so, it’s an interesting choice, but not, for me, a successful one. My other problem had to do with all the mythology Garner employed. He fills his books with references to Celtic and Norse myth, which is impressive, except that I don’t know who any of these beings or places are. I hate to complain this about because if I knew the stories of The Morgannen, Nastrond, Angharad Golden-Hand, and the Huldrafolk, I’d probably be amazed by the way he seamlessly wove them into the story. This kind of mythological borrowing is tricky for any writer. How much can a writer expect his readers to know, and how important is that background knowledge to the story? Garner did provide enough information to make it clear that this character is good and this one is a threat, and maybe that’s sufficient for many readers. Yet a lot of the time, I felt like I was coming into the middle of a story and had missed the key background chapters. I had the sense that certain characters were supposed to be menacing by virtue of who they are without feeling the menace itself. My bewilderment might mirror what it’s like for two children who were suddenly pulled into a world they’ve been told nothing about—except that Colin and Susan have the advantage of being there and seeing Grimnir, Durathror, and Gaberlunzie in action. That might make it a little easier to keep them all straight and to have something more than the most rudimentary sense of what they’re like. What I’d really like to see is an annotated version of this book, with the mythological references footnoted and explained. For all I know, some of these names could just be words Garner made up or drew from myth without meaning to say that this was the mythical character. 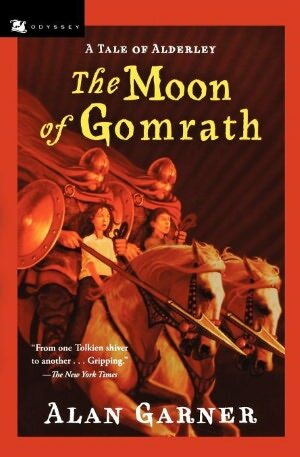 The unfamiliar-myth overload continued in The Moon of Gomrath, which has the children brought into a series adventures related to a bracelet given to Susan in the previous book. The children were slightly more interesting here. Their loyalty to one another and their belief in justice (of a sort) became key to the plot. The story raised some serious questions about the price of war and the relative value of one life over another, and I found the children’s way of dealing with that to be pretty interesting. This huge issue was addressed briefly enough that it didn’t come across as preachy, but it reverberated backward into the whole last section of the book, making me see lots of events—and the children themselves—differently. Although The Moon of Gomrath improved on The Weirdstone of Brsingamen in some respects, the plot doesn’t work nearly so well. Weirdstone is a series of distinct adventures, but all those adventures relate to the ultimate quest to return the weirdstone to the wizard Cadellin. Moon lacks this unifying quest; instead, the children are reacting to a series of events (and causing one event) that are interrelated. There’s no larger goal, except to survive and not get trapped in another world. A good goal but maybe not enough of one to drive a plot. My own feelings about these books has ended up far more mixed than I anticipated when I began them. They are at times rather brilliant, but inconsistent. Garner has just written a third Adderley book, due out later this year. I’m not sure that I’ll read it, but I’m curious as to whether 40 years of refining his craft will mean he’s equipped to be more consistently brilliant in the new book. If so, I could definitely get behind the new book. I’ll be watching for others’ reactions before I decide to pick it up. 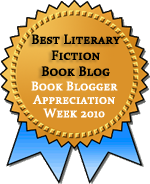 This entry was posted in Children's / YA Lit, Fiction, Speculative Fiction. Bookmark the permalink. I read these as a teenager and was terrified by them. They touched me like no other comparable fiction did or has since. While I can see that the comparison with the Susan Cooper Quartet is valid, she is working with a story and characters that have become universal, whereas Garner has tapped into an older and more local vein of myth. If you know the sources then his use of them is masterful. However, having said that I know that Garner himself was not pleased with what he thought of as apprentice work and I am surprised that he has chosen to go back and complete the trilogy. I shall read ‘Boneland’ with interest. Oh yes, I imagine if I knew the sources, I’d be very impressed with the way Garner uses them. And what you say about Garner’s own view of the work is interesting. If he’s talking about some of the characterization and plotting issues I had, then I’m optimistic about Boneland. The books may have enough intruige for a young reader to hold them through the entire book. As adults we look at the books from a different perspective. We want a stronger plot line. We want to know more details about historical or mythological characters. How many of us looked up more details about historical or mythological characters mentioned in the Harry Potter series? Our life experiences and knowledge of history allow us to see a book in a different light. Sometimes they make a book better, and sometimes they detract from the story. You’re probably right that a kid would read these differently. I was looking through Goodreads reviews and it seemed like the most positive ones were from people who read them as children and the more mixed ones were from people who first read them as adults. Maybe kids are more willing to be bewildered. I felt the same way you did about The Owl Service and Red Shift. I felt I would have a much better grasp on what was actually happening if I knew the mythology (the Mabinogion, in the case of The Owl Service, and local stuff in the case of Red Shift.) I enjoyed the books, but felt fairly at sea, especially with the endings. It sounds like those two maybe had one set of myths he was working with? These, especially Gomrath, drew in tons of seemingly disparate stories. A lot of Norse and Celtic myth and some local lore. Alan Garner and Susan Cooper are both writers I was never able to get into as a kid. I don’t know if it’s all the Celtic myth stuff? Or something else? It weirdly bothers me that I don’t like them because I KNOW that I like children’s fantasy writers, and I can’t understand how I would not like those two major important children’s fantasy writers. I know just what you mean about the authors who seem they should be perfect for you but that just don’t click. It’s frustrating! I always assume I read them when I was in the wrong mood and ruined what should be a perfect reading experience by not doing it right. I love these books. Garner wrote them when he was young, and occasionally the ‘roughness’ shows, but the glimpses of sheer brilliance, the real tie the author feels to Alderley Edge and to the very soil of Albion, to say nothing of his knowledge of myth and legend, is awe-inspiring. When I first read them I was about 12, and knew a little bit of Norse mythology and a smaller amount of celtic, so I wasn’t too baffled by the mythic references. Now many-ahem!-years on, they are like old friends especially the figures out of celtic legend (my own specialty.) The bit where Colin and Susan light the wendfire on the ancient burial mound and release the Wild Hunt is one of the most powerful scenes of that nature I have ever read; it still sends shivers down my spine. I think an annotated edition of Garner’s books would be really cool, though! The wendfire lighting scene was good, and it was one of the scenes that got me especially curious about the myths behind it–that’s when I realized I wanted the annotated Adderley!